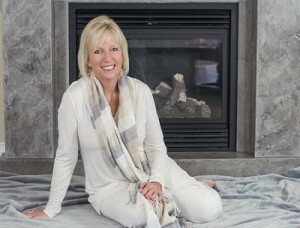 News for the Heart: Laurie Huston & Peggy McColl discuss her new book: The Last Diet Book Ever! Laurie Huston from News the Heart is talking with author Peggy McColl on her New book: The Last Diet Book Ever: 13 Simple Tips to Absolute Guaranteed Weight Loss. This book is a humorous novelty item that is in the form of a book! However, there is truth to the message inside the book and if you have a sense of humor, this book is for you. This book has a simple yet powerful message. Best-selling author Peggy McColl, although not a “weight loss expert’, IS an expert in getting results and changing lives – a fact enthusiastically supported by thousands of clients and students from her 20-plus years of coaching people to set and reach their most heart-felt goals. And she can do the same for you! Join us for this humorous and fascinating discussion! We’re Getting to the Heart of what Matters! This entry was posted in Archives and tagged Best-Selling Author, Host and Producer, Intuitive Counseling, intuitive counselor, Last Diet Book Ever, Laurie Huston, News for the Heart, News for the Heart Radio, Peggy McColl. Bookmark the permalink.